Psych News Alert: Could There Be a Link Between Parasite and Suicidal Behavior? 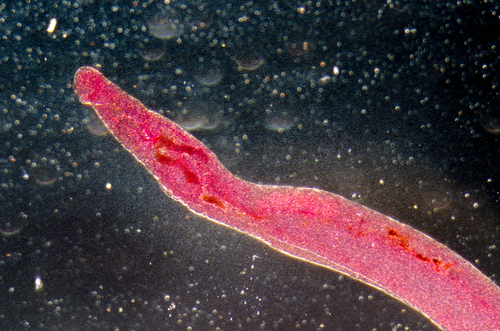 Could There Be a Link Between Parasite and Suicidal Behavior? In a large prospective study, an association was found between the parasite Toxoplasma gondii and suicidal behavior. The finding appears in the November Archives of General Psychiatry. The senior scientist was Teodor Postolache, M.D., director of the mood and anxiety program at the University of Maryland. "This study is very interesting," Paul Links, M.D., a professor of psychiatry at Western University in London, Ontario, Canada, and a suicide expert, told Psychiatric News. "But what mechanisms might explain the association? Association does not necessarily mean that there is a causal relationship...."
Postolache agrees. "We obviously hypothesized that T. gondii can affect the brain and lead to suicide attempts," he said in an interview with Psychiatric News. "But it's also possible that people at risk for suicide might have an increased risk of becoming T. gondii-positive." For example, the major source of T. gondii in developed countries is undercooked meat, Postolache noted, "so it could be that people who are more impulsive [and thus more at risk of suicide] may also be more prone to eating a steak that is rare rather than well done." T. gondii has also beeen implicated in some cases of schizophrenia. Read more about that link in Psychiatric News here and here.